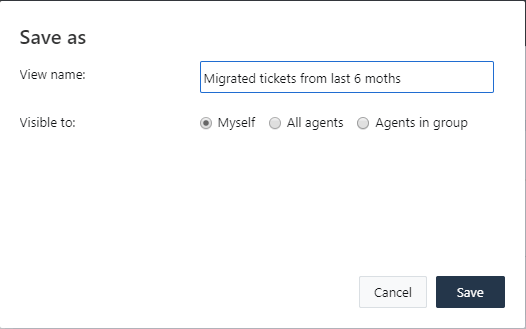 When migrating from Freshservice you can decide which tickets to migrate by using filters and creating the Custom view in Freshservice. Note that the Custom view ID field is required. Without the View ID, you will not be able to continue the migration. 1. Log in to your Freshservice and go to the Tickets tab. 5. Name and save the view. 6. Check the total number of tickets in the view. 7. Copy the View ID from the address bar and run the Free Demo Migration. 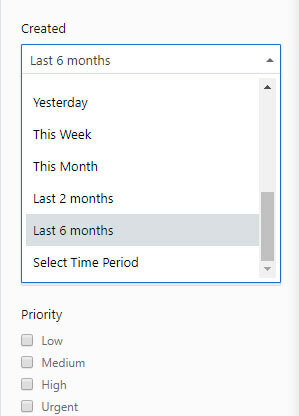 When the Demo is complete, make sure that the Migration Wizard shows the same amount of all tickets as in your Freshservice. If it’s different, reach out to our support team and they will investigate your case.